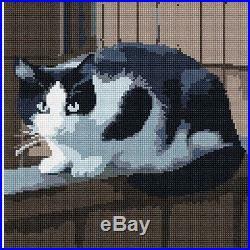 Cat On Fence Needlepoint Kit or Canvas (Animal). 13 × 13 inches. 10 × 10 inches. A cautious cat perched on the edge of the fence, unsure of which way to go. Canvas measures 13″×13″, including 1.5 margin. Stitchable area about 10″×10″, stitch count appr. 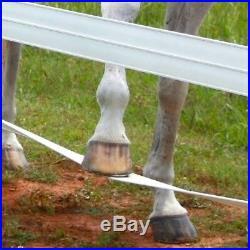 Canvas sizes are approximate and may not exactly match these dimensions. 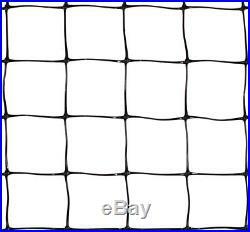 All designs are printed on 13-count mesh. To get the complete kit with all the thread to complete the project, please select the corresponding option at the top of the listing. My kits include full skeins of DMC Pearl Cotton #3, two DMC Tapesty Needles size #20, and a beginner’s guide to needlepointing. Many kits also include a full-color stitch chart. 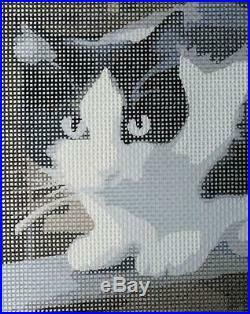 Pepita Needlepoint printed needlepoint canvas is fun and fulfilling for stitcher of all levels and skill, from beginner through advanced. This isn’t like cross stitch, where you need to follow complicated charts. The design is printed in full color, right on the canvas. The 100% cotton canvas is durable, flexible, and a pleasure to work with. Compare to Hand Painted Canvas. Our canvases are printed with industrial-grade ink on high-quality Zweigart 100% cotton Mono Deluxe canvas. This is the best material in the industry today. The unique and vibrant designs are applied using a proprietary process developed in-house after years of experimentation. The vivid high-contrast colors are absolutely stunning, and are indistinguishable from hand-painted canvas. Try a low-cost alternative to hand-painted needlepoint, and I guarantee you will be absolutely delighted! If you aren’t happy, just let us know and send it back. A absolutely FREE so what are you waiting for? Get yourself some stitching joy today! I’ve been stitching projects for many years. I know how to tell between a good needlepoint canvas and an awesome one. Chances are I know what you like, too. Here are some things you probably look for in a needlepoint canvas. You Like Beautiful Design. I invite you to browse my listings and admire my stunning designs. These are striking, one-of-a-kind projects you won’t find anywhere else. They are fun to stitch and satisfying to finish. You Like Vivid Color. All of my canvases are printed on advanced equipment using the latest digital garment printing technology. They are color fast and retain their brilliance for a long time. You Like High-Quality Canvas. It is sturdy and strong, yet gentle on your hands. The bright white fibers help you see, and the 13-count weave helps move your project forward fast. You Like Reasonable Pricing. My printed canvases look terrific – better than many painted ones! You Like Dependable Sellers. It is important to me that I earn your trust. So I stand behind every order I send out. Any problem at all? And I will fix it. We cannot mark it as a gift. This is the only option available for our international customers at this time. We do allow a package to be delivered to an address within the United States on your behalf. The amount of time it takes for the carrier to deliver your order is not under my control. Typically, the number of days it takes to get to you corresponds to the first number of your zip code. For example, if your zip code begins with a 5, it will usually be no more than 5 days before you receive your order. Needlepoint canvases are packaged carefully in tough envelopes or boxes for maximum protection while in transit. The canvas material is very sturdy and will not be adversely affected. If you order more canvases and embellishments than can fit in an envelope, it will be packaged in a box. What Are People Saying? Just wanted to let you know that I received the needlepoint kit this weekend, and couldn’t wait to get started. It looks beautiful, and the thread is very nice quality. I have already recommended your company to two people. Thanks for all of your help. Harriette from Tucson, Arizona. I wanted to share with you the results of my latest needlepoint adventure with Pepita! Here is the completed customized canvas I ordered last winter. It was a delight to stitch! Yonina from Chicago, Illinois. This is my first time ordering from your company. I think that you have the nicest, actually the most beautiful canvases for needlepoint. Cynthia from Danvers, Massachusetts. I just received the canvas — it is great, even nicer than I envisioned! Thanks again for all your time in creating this for me. Sharon from Delray Beach, Florida. Thank you for your great products. Laurie from New Rochelle, New York. I love, love, love the way you use miniatures to embellish your needlepoints. I’ve never seen them used quite like this before. Allison, West Virgina. I stand behind my products. Let me know by messaging me. It’s that simple. Shop with peace of mind, and rest assured that you will not be left with something you paid for but don’t want. Products must be in their original condition: for example, threads must be unopened. Are your canvases hand painted? We print our design using the latest in digital industrial garment printing. The quality of our canvases are often better than handpainted canvas. How do I know? My customers tell me. You will be telling it to everyone you know, too. What kind of canvas do you use? All of our canvases are created with thick, expensive, 100% cotton needlepoint canvas. Zweigart Mono Deluxe Needlepoint canvas is widely regarded as the best material available for needlepoint canvas. The printing process utilizes high-quality brand-name inks, to produce radiant imagery in vivid, long-lasting color. 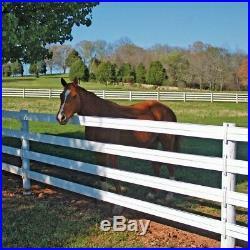 Can you customize my canvas? There is a “Customize” button on every product page. There is no charge for customization (within reason). Is thread included in the canvas price? Look at the item description to see whether it is a canvas or a kit. 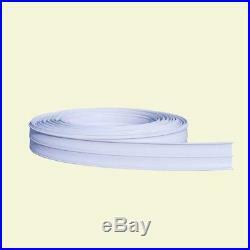 On most listings, you have the option of purchasing with or without thread. What is a thread pack? We match colors on the canvas to DMC Pearl Cotton thread #3 and pack it up for you in a clear ziplock bag for convenient safekeeping. It also includes 2 tapestry needles. Some threadpacks include specialty threads, such as Kreinik Metallic. Does the product include instructions? Many of my canvases and kits include an illustrated guide to the basic craft of needlepointing for beginners. However if your order doesn’t include one, do not despair! There are many needlepointing guides for beginners, and they are available widely on the Internet. What is a chart? Many canvases we sell come with a free full-color chart that assists with color placement. This is a very convenient way to ensure you are stitching the right color in the right place. I provide a chart with many of my products, but not all of them. How long will it take for me to get my items? The number of days it takes to get to you generally corresponds to the first number of your zip code. For example, if your zip code begins with a 5, it will usually be no more than five days before you receive your order. 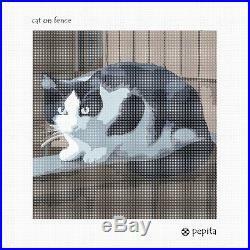 The item “Cat On Fence Needlepoint Kit or Canvas (Animal)” is in sale since Thursday, February 2, 2017. This item is in the category “Crafts\Needlecrafts & Yarn\Embroidery & Cross Stitch\Hand Embroidery Kits\Needlepoint Kits”. The seller is “renee_frank” and is located in Brooklyn, New York. This item can be shipped to United States, Canada, United Kingdom, Denmark, Romania, Slovakia, Bulgaria, Czech republic, Finland, Hungary, Latvia, Lithuania, Malta, Estonia, Australia, Greece, Portugal, Cyprus, Slovenia, Japan, China, Sweden, South Korea, Indonesia, Taiwan, South africa, Thailand, Belgium, France, Hong Kong, Ireland, Netherlands, Poland, Spain, Italy, Germany, Austria, Israel, Mexico, New Zealand, Philippines, Singapore, Switzerland, Norway, Saudi arabia, United arab emirates, Qatar, Kuwait, Bahrain, Croatia, Malaysia, Brazil, Chile, Colombia, Costa rica, Dominican republic, Panama, Trinidad and tobago, Guatemala, El salvador, Honduras, Jamaica, Luxembourg. 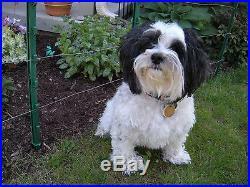 We do not recommend electric fencing for any dog under 15 lbs or under 6 months old. We do not recommend electric fencing for any dog under 15 lbs or under 6 months oldWhether you want to keep pets in or small, unwanted animals out, the Havahart Electric Fence Kit is the perfect solution. 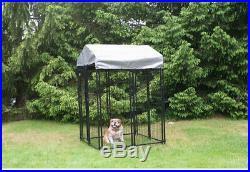 The Electric Fence Kit can also be used to deter a pet’s bad habits. 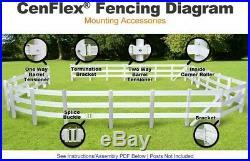 The fence’s mild shock delivers a correction without harm, quickly teaching them where they’re not supposed to go. 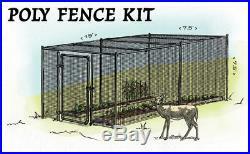 Or, use the fence to protect flowers, shrubbery, gardens, and trash from unwanted intruders. Occasionally an item may be temporarily unavailable or back ordered as we sell on multiple platforms. If this unfortunate event happens we will contact you to see what we can do to resolve the situation. As Estate buyers we make every attempt to accurately describe our items as we inspect them but at times we may miss something specific to an item that we are unaware of. We work towards total satisfaction and if we missed something let us work it out with you. Do check out our other items. The item “Havahart AC Powered Electric Fence Kit Small Pet Animal Charge Shock Control FI” is in sale since Wednesday, August 12, 2015. 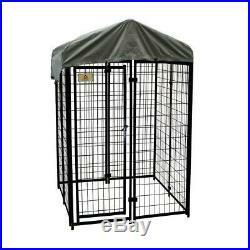 This item is in the category “Pet Supplies\Dog Supplies\Fences & Exercise Pens”. 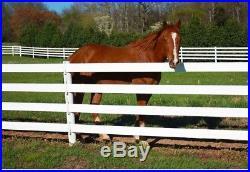 The seller is “dtidaho2″ and is located in Boise, Idaho. This item can be shipped to United States, Canada, United Kingdom, Denmark, Romania, Slovakia, Bulgaria, Czech republic, Finland, Hungary, Latvia, Lithuania, Malta, Estonia, Australia, Greece, Portugal, Cyprus, Slovenia, Japan, China, Sweden, South Korea, Indonesia, Taiwan, South africa, Thailand, Belgium, France, Hong Kong, Ireland, Netherlands, Poland, Spain, Italy, Germany, Austria, Israel, Mexico, New Zealand, Philippines, Singapore, Switzerland, Norway, Saudi arabia, Ukraine, United arab emirates, Qatar, Kuwait, Bahrain, Croatia, Malaysia, Brazil, Chile, Colombia, Costa rica, Dominican republic, Panama, Trinidad and tobago, Guatemala, El salvador, Honduras, Jamaica.